In the small German town of Gaildorf, big things are happening. The first water battery project has had its pilot in this picturesque old town near Stuttgart, using only natural sources of energy for both production and storage purposes. This pilot is a part of a unique project from the German company Max Bögl Wind AG, which combines water storage technology with renewable electric energy production from wind turbines. Another sensation is that one of the four turbines is, at 178 meters, the highest wind turbine in the world. The primary advantage of such height is the access to stronger winds in higher altitudes and consequently more available energy. 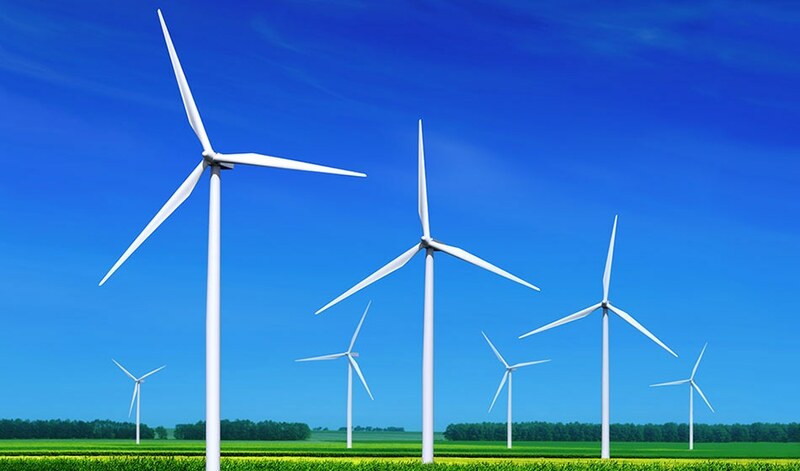 Firstly, four wind turbines harvest the power of the wind and convert it to mechanical energy. This can then be used to generate electricity. When the wind is particularly strong, the amount of produced power is higher than the demand of public electricity grid. Wind power plants usually can't store this energy surplus, so in that case, the wind turbines are shut down, and this energy is not utilized. However, this new project allows the electricity to be stored. The foundations of wind turbine generators serve as an upper reservoir for the Water Battery, with a storage capacity of 70-megawatt hours. The Water Battery is a type of pumped hydroelectric storage, in which the energy is saved in the upper reservoir in the form of water. When demand for the electric power is high, the top reservoir opens, and water flows downhill through turbines which translate this energy into electricity. Conventional pumped hydroelectric storage facilities use the energy of electric grid to pump the released water uphill again in the periods of low electricity demands, but in this new project, there is no need for this additional usage of electric energy, even when the energy demands are low. During times of strong winds when energy production is high, the excess energy is used for pumping the water from the lower to the upper reservoir, connected through an underground penstock. It does this in such way that energy surplus is preserved in the form of water. The height of Max Bögl Wind AG Hybrid Tower wind turbines results not only in more available wind energy but at higher altitudes there are fewer obstacles which could cause wind turbulence. The Water Battery is not just used for energy storage: it is also a substantial factor for electric grid stability. High energy peaks are a heavy load for the electric grid, and the Water Battery allows these energy peaks to be lowered, thus stabilizing the flow of electric energy through the grid. In this way, the biggest shortcoming of wind energy, which is that it is not always stable and predictable, is solved by the new technology. It goes without saying that this impressive and innovative combination of wind as a renewable energy source and the power of water as storage energy has a lot to offer in the energy production field. As Josef Knitl, a Board Member of Max Bögl Wind AG said: "We are making wind energy a more attractive and efficient source of clean energy." This can be replaced by a much cheaper containerised waste-to-power plants, generating on demand.